Apps for closet design on iPhones or Androids sounds smart - and browsing through the offerings is inspiring. On some apps, reviews by consumers show a litany of complaints: apps don't open, hang up, or are just come-ons to buy online, or to keep visitors occupied looking at closets so they can look at ads. We couldn't try them all, but we did download and activate several - when the applications worked. Here are a few we tried ourselves. Sketch Arm at the iTunes store is a tool for conceptual design in 3D that lets users create in a few minutes a fully customized closet. "Make a whole amazing design in just four simple steps and share it with your friends," gushes www.Sketcharm.com. The app lets users place the closet in the room, distribute the interior space, create and customize the doors, and see the result in 3D. The program has video tutorials at the main website, and shows the utilities to save files of designs. It was developed in Spain, at the University of Ourense. This app is derived from Microadd's closet design software for closet manufacturers and storage space designers. 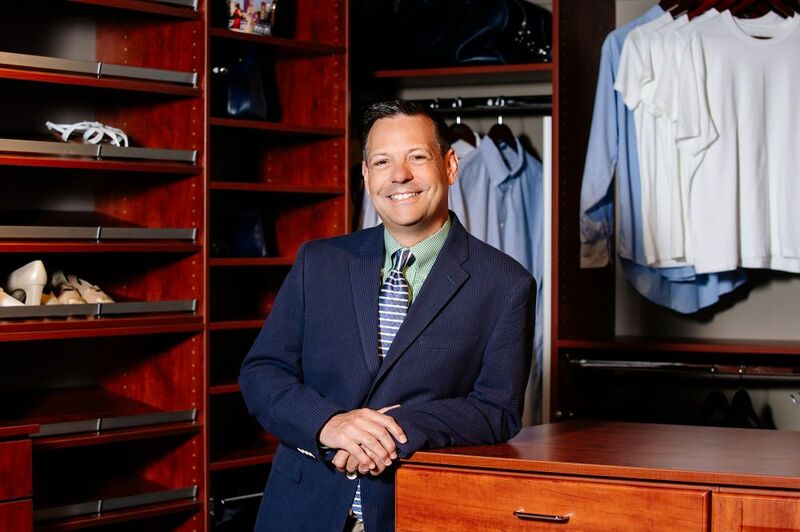 "With autoclosets , a closet can be designed in minutes thanks to the wizard approach, in which the software prompts you to select among several options. With each selection you make, you move forward and are one step closer to finalizing the closet design. autoclosets is so user-friendly that most users design the closet space in real time and in the presence of the customer," says the company, based in Spain. 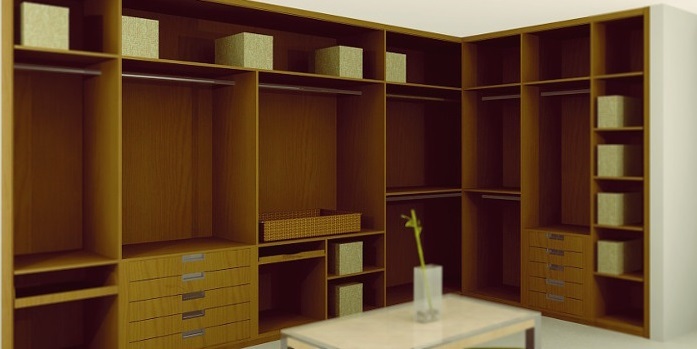 Autoclosets can be linked to autokitchen or autodecco so that the closet project can be rendered in 3D and in color. Materials, colors, reflections and lights can be applied to generate a photo-realistic rendering of the closet. autoclosets also generates an automatic report with all the relevant technical information that integrates the closet. The user can customize the report to include items that vary by project. This report can also be used to place an order to the closet manufacturer. Home Design 3D has one million downloads and a 4.2 average review by 87,469 people - hallmarks of an app that works. While it is more generalized than closets - it allows users to design any room in the home in 2D or 3D. But it looks like something an architect wold use - kind of complicated for an average consumer. 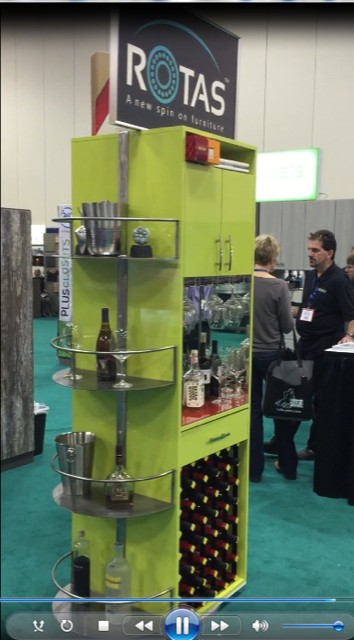 This app compares unfavorably with Houzz, since it has a limited number of images, of uneven quality. Houzz, by comparison, has much more in its app, though it's hard to isolate closets. "In this application, you will find ideas about closet. This application has a hundred pictures that will change your mind how to organize your closet." It's not really hundreds of images, and it's not categorized, either. It does deliver ads, for Lowe's and for closets companies..
Utile's closet app, developed by Stas Shepelev in Kiev, Ukraine, has some bad reviews: it doesn't open. We downloaded it at Google Play to confirm it doesn't work. But the idea is good. This is another closet app that gets hung up - despite the name EZ Closets. User reviews complain that everything in it costs - it wouldn't even open on our Samsung Galaxy. The Decorate Your Walk In Closet game app from LPRA studio is just for fun. This one's for teens, and though we didn't test it, it's got positive reviews and lots of downloads - an indicator that it probably works. Decorate Your Walk In Closet game is a room decoration game "which is capable of releasing your inner interior designer," says LPRA Studios. This game, aimed at teens, has between 1 million and 5 million downloads, according to Google Play. This game features 12 icons at the top of the screen which represent wall paper, lighting, ceiling color, flooring, lounge suites, rug, wall decorations, handbag shelving, floor decorations, clothes shelving, jewelry shelving and shoe shelving. This game works by simply clicking on each separate icon multiple times to change the decoration or color of each section the icons represent. You will see each item magically appear and change in front of your eyes. If you want to go back to the basics and restart over all you have to do is press the “reset” button at the bottom left hand side of the screen and your room will go back to the way it was when you first started. When done all you have to do is press the show button at the bottom left hand side of the screen and like magic your room will unveil before your eyes. You can easily print your room using the “print” button, or save your design by using the “save” button. If you want to replay the game over all you have to do is simply press the “replay” button at the left hand side of the screen and your room will reset. This shoes closet decoration game is great fun and can give you plenty of ideas for your own closet design in your own home. With so many decoration games fun you can have, you really can’t go wrong with the inspiring and great Decorate Your Walk In Closet game today!